Emergency Response Team Search and Rescue (ERTSAR) is a search and rescue team that operates on an international level and that primarily focuses on disaster responses. The bases for ERTSAR are in Henley-on-Thames, Toronto, Canada, and the United Kingdom (UK). ERTSAR is an organization whose aim is to try to save as many lives as possible during disasters in the hope of reducing the death toll of these terrible problems, and they have been successful at it throughout their history. There are lots of different chances to make a difference here. ERTSAR was founded on 1 December 2002. The original founder was Gary Foo. ERTSAR is specifically a non-profit NGO, or non-governmental organization. ERTSAR has been registered as a charity in Wales and England since around 2004. The Canadian ERTSAR branch was founded in the year 2011. People who hear about references to OSAR in United Kingdom documents should know that this was one of the original designations for ERTSAR, which has changed since the founding. ERTSAR is a charity, and so it is staffed by volunteers in its entirety. All of the funding for ERTSAR comes from local businesses and from private individuals. It’s one of the most successful volunteer organizations in the world, however, so it manages to operate like something that has the backing of a government or a private organization. They received a grant for 17,713.60 euros in 2016, and this is an example of the sort of donation that is very common with them. 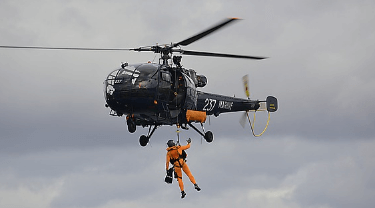 ERTSAR has been very prominent in various search and rescue operations throughout the course of the last fifteen years. They’ve been involved in follow-up support and in relief missions as well. In the wake of the 2004 Indian Ocean earthquake and tsunami, 2010 Pakistan floods, 2005 Kashmir earthquake, 2010 Haiti earthquake, 2007 United Kingdom floods, Snow and Ice spell of 2010, and Typhoon Haiyan, ERTSAR was there. Different branches of ERTSAR have been involved in different disasters. In some cases, team members from both the United Kingdom and Canada have worked together. Their efforts in the 2010 Haitian earthquake relief were among their most important triumphs today. Theoretically, anyone can become an ERTSAR volunteer. This is a volunteer organization, and people do not necessarily have to earn degrees or qualifications in order to join a ERTSAR team. However, there are still going to be certain requirements that ERTSAR volunteers are going to have to fill, and people are still going to have to apply for membership. People who have certain basic physical capacities and a strong desire to help are usually going to be eligible for membership. There are going to be operational members for ERTSAR. These are going to be the people who have EMS training or experience with operating an ambulance. Paramedics, doctors, and nurses are encouraged to join ERTSAR as well. Military personnel, police officers, fire fighters, and other professionals in similar fields are encouraged to join ERTSAR as operational members. There is going to be a time commitment involved with operational ERTSAR members. This same commitment is not going to apply to the volunteers who are not ERTSAR members. The age requirements are very loose: people have to be over the age of eighteen and under the age of seventy-one. ERTSAR volunteers are required to be very fit. People who are heavy smokers or heavy drinkers are not going to be able to become ERTSAR volunteers in many cases. For the United Kingdom team, people are going to have to be legal residents of the United Kingdom. This requirement will obviously vary depending on which ERTSAR team it is in which country. People who volunteer for other SAR/emergency response teams are also not going to be eligible for membership to ERTSAR. People with Body Mass Indices of over 30 might have a hard time becoming volunteers unless they have a lot of muscle mass, but this requirement might change with time as skepticism towards the Body Mass Index formula increases. Some size acceptance activists have criticized this requirement. Overall, ERTSAR is a fairly inclusive organization in most ways, and people who want to make a difference in this regard are really encouraged to join the organization. ERTSAR activities save lives all around the world.